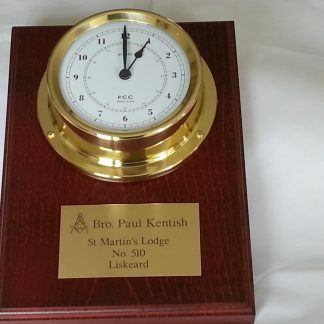 We are renowned for our marine barometers and clocks which are available in heavy, solid, cast brass or chrome cases which are manufacturered and finished to the highest standard. If you have visited the Boat Show show over the last ten years you will have seen FCC Precision clocks and barometers installed on many of the beautiful boats - see our Prestige Range. 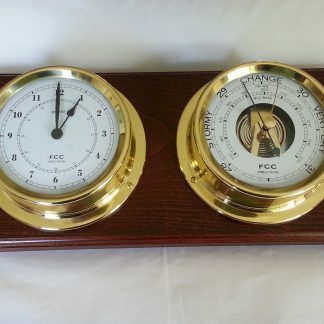 FCC Precision has been established as the Barometer specialists for over 35 years. We are a small family business with old fashioned values. We take great pride in being known as the weather instrument company. Our marine, precision instruments are hand built and tested in our workshops in Cornwall, England (the heart of the sailing and boating community). Our Clocks and Barometers are quality instruments, built to the highest standard. 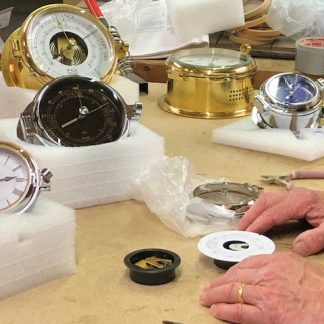 We are here to support our products and offer a full repair service for our Barometers, Clocks and Tidal Clocks should the unthinkable happen! 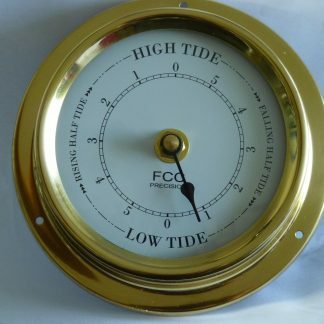 Our marine range of clocks and barometers is available in cast brass and chrome. All our cases are lacquered and varnished to protect them in a marine environment. We pride ourselves on our quality instruments and customer service. Our Home range is produced to the same exacting standards but without the corrosion resistant casing. Barometers, Clocks, Time and Tide Clocks, Thermometers, Hygrometers for the boat or home. Our range includes traditional and modern styling to complement your interior design. Generally brass with dark wood is considered more traditional with chrome and light woods for the more modern decor. 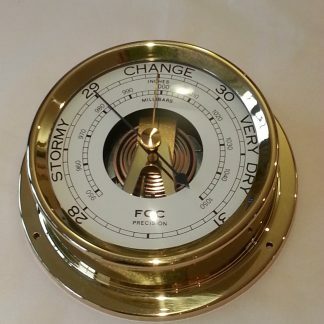 Never has a barometer been a more useful addition to any household or boat with the extreme weather conditions occurring throughout the world. It requires no batteries, making it eco friendly and cheap to run! It forecasts weather conditions 12 – 24 hours ahead for the direct area where it is located – essential for anyone who needs to plan outside work and gives a very useful warning period of impending bad weather, allowing you to safeguard your property and animals. 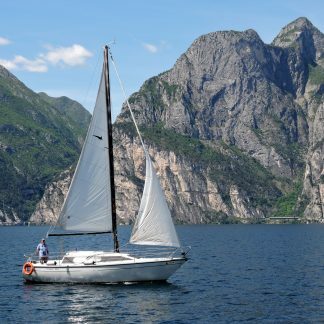 We offer a complete range of high quality Barometers, Clocks, Time and Tide Clocks, Hygrometers, Thermometers, Barographs and Weather Stations in stylish designs, both traditional and modern for either the home or boat! If you don’t see exactly what you are looking for on the web-site please give us a call, we will always do our utmost to assist!